In the beginning of May we were all excited to hear that William and Kate welcomed a new royal princess into the world. With the sound of tiny little footsteps making echoing pitter-patter noises around Buckingham Palace we thought it would be good idea to introduce to you the wonders of Little Fogarty bed linen. Now you can treat your very own little princes and princesses to a relaxing and ultra-comfortable night’s sleep. Help your little one fall into a gentle slumber with the exceptionally comfortable, machine washable, Ultracare Anti-Allergy cot pillow. 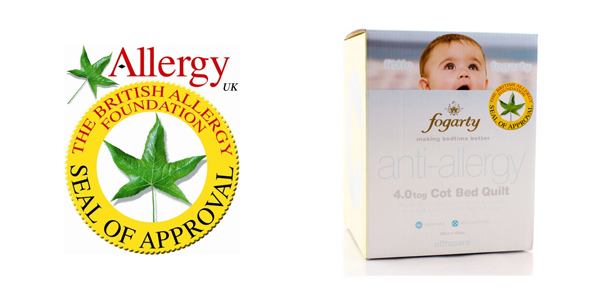 Thanks to its unique anti-dust mite, anti-bacterial and anti-fungal qualities it has been stamped with the Allergy UK seal of approval to help fend off little sneezes! The cot pillow measures 60cm x 40cm which is a perfect fit for little heads. To be extra safe you can help to protect your toddlers from dust mites and other pesky allergens with the Ultracare Anti-Allergy cot pillow protector. 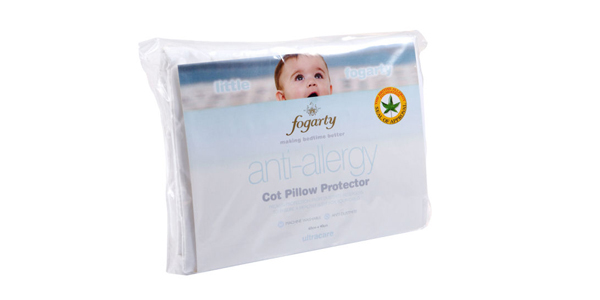 This item is also machine washable and made to fit snuggly over your anti-allergy cot pillow! As a parent all we want for our little one is to be healthy, safe and happy and we know that if they can get a peaceful night’s sleep then so can we! 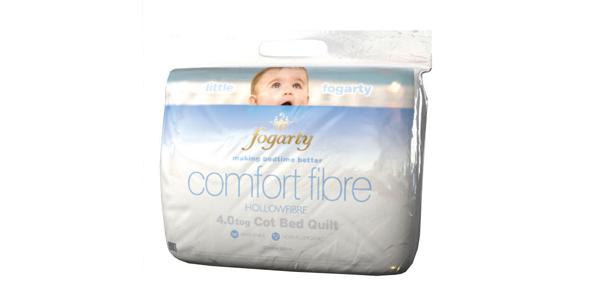 So surround your baby with comfort using the Comfort Hollowfibre 4.0 tog cot duvet. With this 4.0 tog your tiny tots can snuggle up in this lightweight non-allergenic duvet to avoid over heating, making night times a stress free routine. What’s also great about this duvet is that you can put in the tumble dryer after machine washing it to give it an ultra-soft feel. To give your toddler a safer night’s sleep then the Ultracare Anti-Allergy 4.0 tog cot bed duvet is perfect for the job. This duvet has definitely earned its stripes when it comes to achieving the Allergy UK Seal of approval, thanks to its anti-dust mite, anti-bacterial and anti-fungal properties. You can now say goodbye to those pesky bed bugs and any other allergy irritants that might keep your baby up at night. 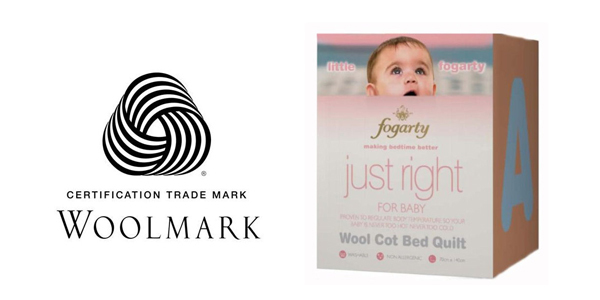 This super soft Just Right Wool Cot Bed Duvet has been proven to regulate the body temperature of your infant, meaning there shouldn’t be any fuss around being too hot or too cold when it comes to bed time. Featuring anti-dust mite and anti-bacterial properties your baby can snooze without being disturbed by bothersome bugs. Plus, as an added bonus this duvet can be popped into the tumble dryer after washing! 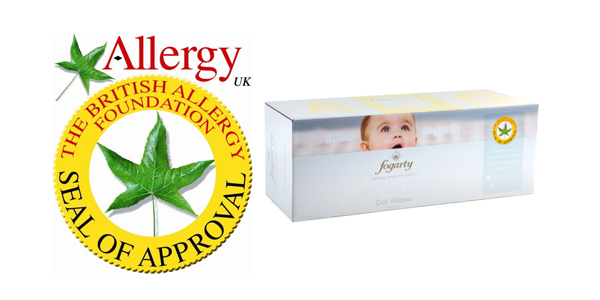 Allergy Seal of Approval, Baby Linen, Duvet, Linen, Little Fogarty, Pillow. Bookmark.